This is another one of those weeks that started off challenging, but that I ended up really liking. At first, I made the two sides separate and they didn't flow well together. 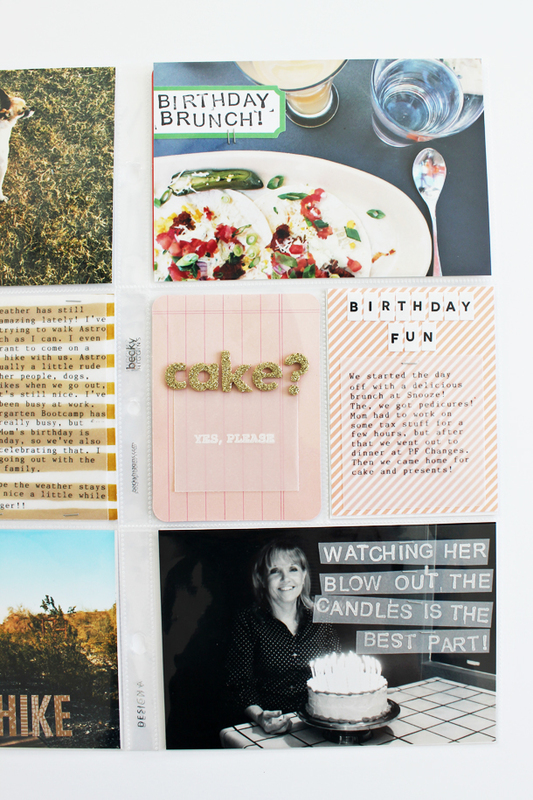 After I added that cake journaling card, it became one of my favorite layouts. I love how the gold alpha letters tied the yellow and gold from the other side together. You can definitely see my love for vellum in this spread. I think almost every week has vellum in it. 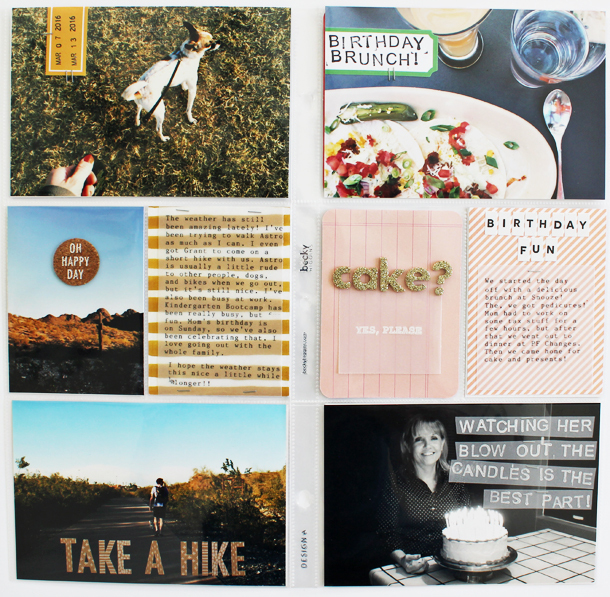 It's so versatile and added texture and details without distracting too much from the photos or patterned paper. It can also make the text easier to read, like on my bottom photo. The weather was still pretty nice, so we made an effort to take Astro for lots of walk this week. I wanted to make sure those outings were document, since they were special. I kept the journaling card simple on this side by typing with the type writer on vellum and stapling it with my tiny attacher. I used kraft alphas from an old ABM Messy Box on the dark part of the photo, which added nice contrast. 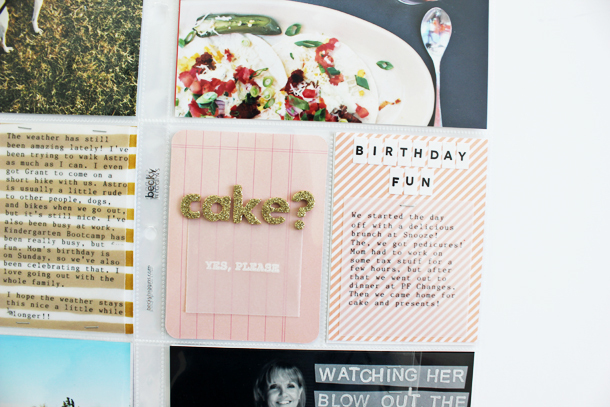 I love the journaling cards on this side of the layout! I first made the birthday fun card by using alphas from ABM. I typed some journaling on vellum and, again, stapled it with the tiny attacher. I originally had a photo where the cake? card is, but the colors weren't great and I just wasn't happy with how it looked. I took the photo out and realized that this pink card was there, because it is the back of a journaling card I made for the next week. I was so much happier with how the looks looked together. 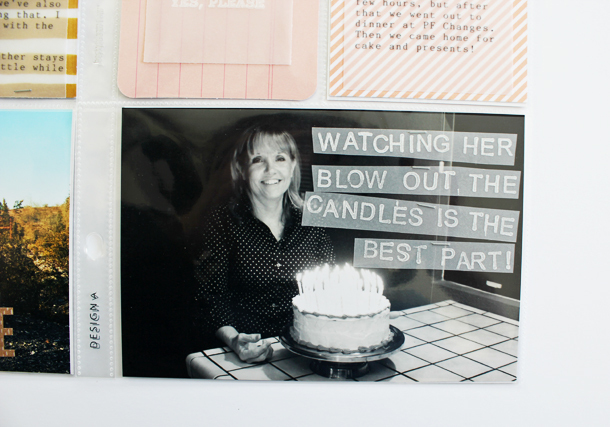 The picture that was there was a photo of my mom's birthday cake, so I thought it would be fun to recreate it in a journaling card. I couldn't use my tiny attacher, because I didn't want staples going through the other side of the card. I decided to use a Kelly Purkey stamp set on vellum and use the gold alphas to hold the vellum down. I like the look and it's serving a purpose! At our house, we have a tradition that you get as many candles as you are old, so it gets more and more fun each year. Every year, my mom takes a big breath and blows them all out. It's a story I wanted to include in my album. I was worried about all the text fitting, so I didn't want to start with alpha stickers. I decided to stamp it out on vellum, so I know it would fit and to add some contrast to all the black in the photo. If you're not sure if something will fit, try it on vellum and attach it to the photo! It makes it easier to redo or cut the pieces into smaller pieces to see if it will still fit. 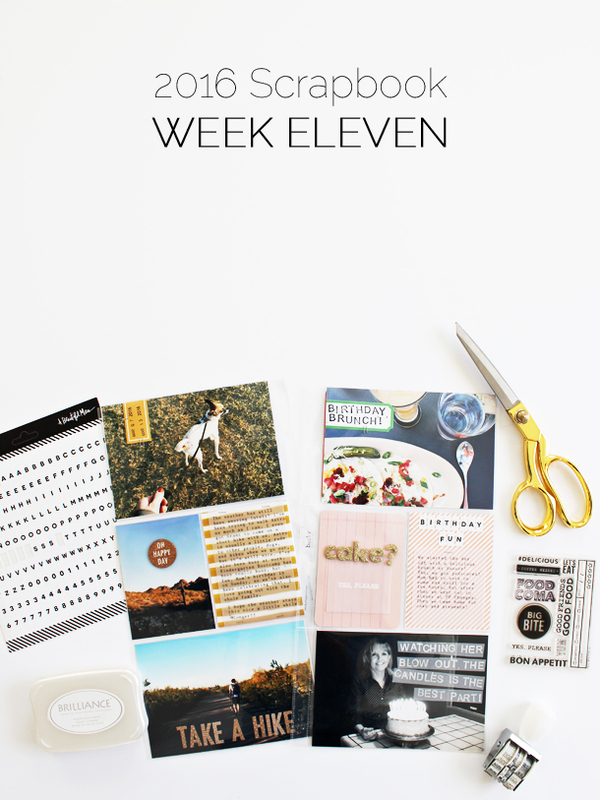 I love the look of the journaling on velum! 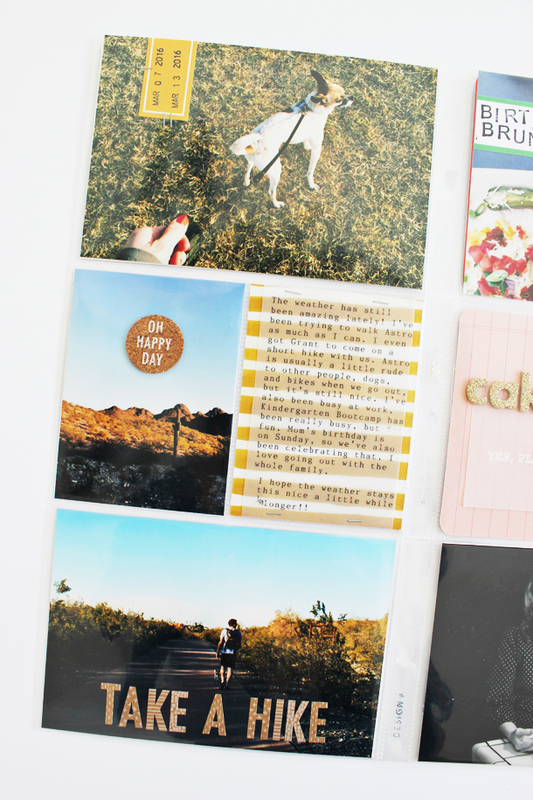 Did you use alpha stamps for the long journaling paragraph, a typewriter, or just printer?